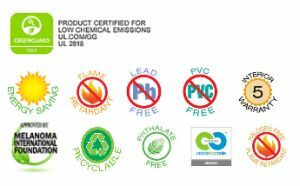 Cradle to Cradle Certified Bronze, Style 8000 is PVC-free and 100% recyclable. Maintaining outward views while allowing the use of natural daylighting makes Style 8000 the ideal sun control fabric for commercial roller shades where environmental sustainability is valued. 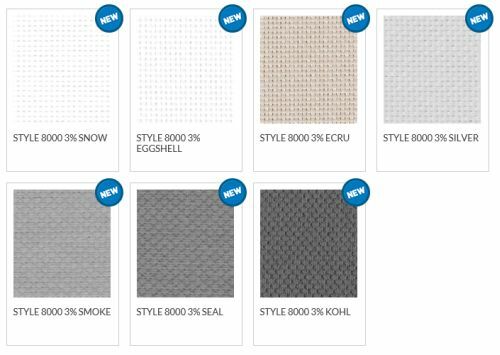 With enhanced performance for reducing solar heat gain and material health rated, Style 8000 is eligible for LEED Material Ingredient Disclosure credits. Contact us for individual color specifications.